When marketing a business for sale and manoeuvring through the sale process, we encounter many different people who are involved, either in a minor or major way, with the business in question. All of these people become customers in some way. There are, of course, the current owners and vendors of the business, who are naturally our primary client and are of the utmost importance to us. Next we encounter all of the people who are interested in the business, having seen the business in our extensive online marketing or database mailshots. Once the sale of the business is arranged we have a purchaser, and leading on from this we encounter any or all of solicitors, accountants, landlords, landlords’ agents, finance brokers and financial institutions, maintenance professionals, stock takers etc. etc. All of the people and organisations mentioned above, and any others that we may encounter along the way, become our customers as the process of selling any business unfolds. It is vital that we treat everyone connected with the business and the business sale with the utmost professionalism, courtesy and consideration, no matter how small their involvement. This is the only way in which to ensure that the sale of the business is successfully concluded and our most important customer, our vendor, receives the service to which they are entitled. 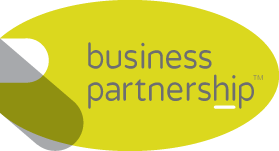 Greg & Beverley Towers at The Business Partnership, Sheffield have 34 years’ combined experience in successfully selling businesses throughout South Yorkshire and the North Midlands. We are hugely experienced in dealing with all parties involved with any business sale and work tirelessly with everyone in order to ensure the successful, timely and satisfactory conclusion of every sale. Why would you trust any other agent?